[snippet ...] Even if you're dismissed for another reason the code is a good guide to what your dismissal process should involve. If you leave your job, your local Jobs and Benefits office/JobCentre can delay your Jobseeker's Allowance for up to 26 weeks. 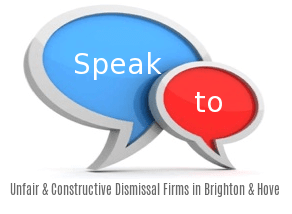 Your employer could then claim there has been no dismissal. Get in touch with Acas as soon as you can - even if you don't go through early conciliation, you need to have notified Acas before you can make a tribunal claim.